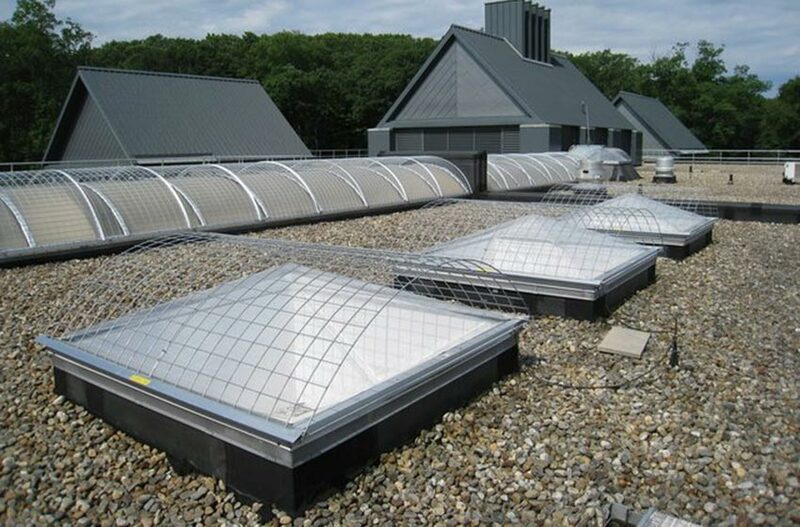 Unprotected skylights and roof hatches pose a significant fall risk and is one of the most common cause of falling accident from roofs in general industry. 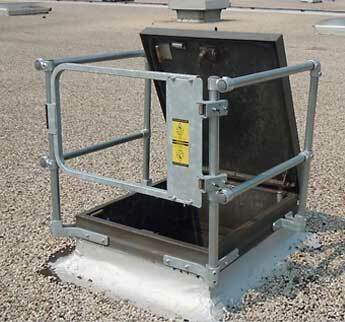 Our skylight screens, hatch kits and railing solutions provide compliant protection to eliminate these fall hazards found on almost every roof. FLS skylight screens are available for virtually any style of skylight including domed, trapezoidal and flat panel skylights. 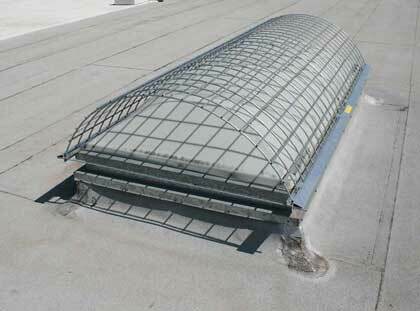 Most of our screens clamp on and do not penetrate the skylight, eliminating any potential damage to the skylight. 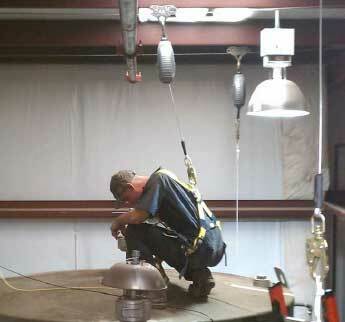 When roof hatches are left open they pose a risk to those on the roof. FLS hatch kits are a simple yet effective solution that not only protect the hatch opening, but also provide a hand hold while climbing out of the hatch. Large skylights or owners who don’t want to see a screen over their skylight, protect their skylights with FLS’ Skylight Guardrail. 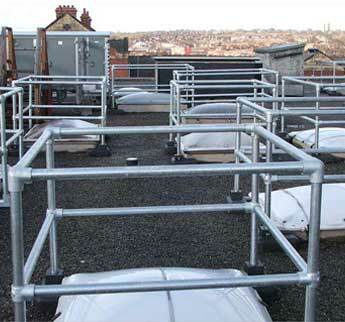 This freestanding railing system provides OSHA compliant protection to eliminate the possibility of falling through the skylight. Select below for more information about specific FLS screen safety solutions.